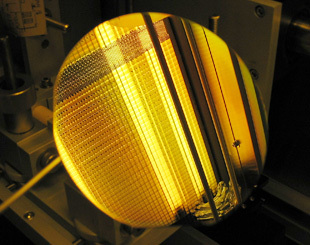 AdvancedMEMS team has more than 15 years combined experience performing MEMS fabrication many of the major national labs. Currently the majority of our prototyping and single-step processing work is done at the UC Berkeley Microlab. 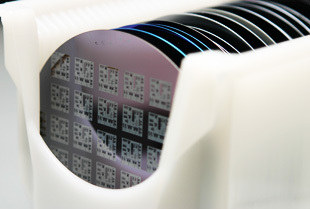 We work in a 10,000sq ft clean-room with full MEMS and CMOS capabilities for 4" and 6" wafers. Process equipment includes mask-making, photolithography (contact, i and g-line steppers as well as deep UV and nano-imprint capabilities), wet etch, RIE, DRIE, thin film deposition, oxidation, metallization, CMP, dicing and packaging. View a full list of equipment here, or contact us to discuss specific capabilities. 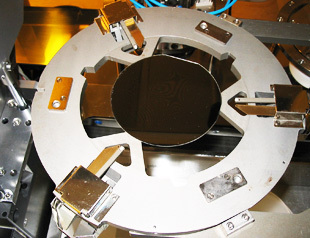 We are experienced in all areas of MEMS fabrication, including wafer level bonding, deep reactive ion etching, through-wafer etching and backside alignment. AdvancedMEMS can fabricate entire systems or perform individual process steps, we can also provide consulting as well as design and validation services. Should you wish to utilize the Berkeley Microlab, we are certified to train you on all machinery. Additionally, we have close ties to full-scale production foundries and can help you transfer your designs to their processes as well as ensuring that your devices are designed for manufacturability.